Exactly seventeen years ago, on the same day, Sunday, American and British forces began an aerial bombing campaign in Afghanistan against suspected Taliban and al-Qaeda positions after the September 11, 2001, commonly known as 9/11 attacks in New York that killed close to 3000 people. 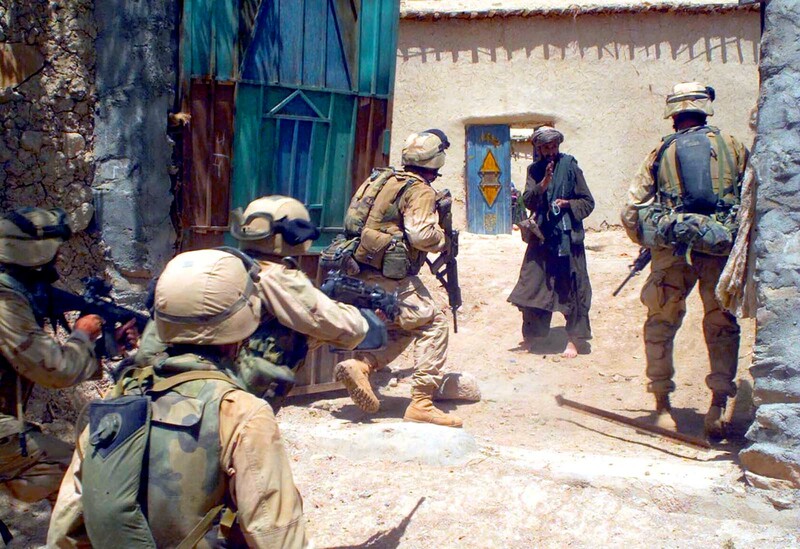 This military invasion was named as ‘Operation Enduring Freedom’. And, it has been showcased by the U.S and its allies as a milestone demonstrating the world’s commitment to fight international terrorists in Afghanistan. The overall purpose is said to remain the same, to ensure that Afghanistan doesn’t become a terrorist safe haven where globally connected terrorists can plan, inspire or conduct attacks. But, the cost – especially in terms of human lives paid by the Afghans – continues to be criminally ignored by the warring sides blindly seeking their goals in this ragging war with no signs of an end to it. Moderate estimates suggest some 217,000 Afghans have died as a direct result of the fighting while millions are forced into exile. Latest figures released by the UN Assistance Mission in Afghanistan (UNAMA) show continuing record high casualty rates being inflicted on the Afghan civilian population by the warring parties. Covering the period 1 January to 30 June 2018, findings include the killing of more civilians in the first six months of this year – 1,692 deaths – than at any comparable time over the last ten years since records have been kept. The bitter reality is these human losses have been reduced to meaningless digits with the parties engaged in the nearly two-decade old conflict not showing any signs of a change in posture towards peace. The way the war-weary Afghans so eagerly celebrated the short-lived unprecedented truce earlier this year clearly demonstrated their desperate longing for an end to the bloodshed. Some signs by the U.S of push for peaceful settlement, such as appointing an Afghan-origin seasoned diplomat, Zalmay Khalilzad, as the US Special Representative for Afghanistan Reconciliation, are encouraging indeed. Mr. Khalilzad’s engagements during his trips to a number of capitals in connection with the push for truce are said to be well-coordinated with the Kabul government that too has demonstrated its desire for peace with two unprecedented one-sided offers of ceasefire to the Taliban this year. Financially, based on the U.S’ own estimates, this longest war in its history is costing a whopping $ 45 billion per year. Amid all this, what war-ravaged Afghanistan really can’t afford is to turn into an active battle field for proxy war among regional and global powers. The 21st Century is unlike any other time in human history. We know the problems we face and can also tackle them. Yet we bury our heads in the sand. Countries continue to sell arms to Saudi Arabia, despite agreements to halt the trade. According to a July 2018 report, the average global temperature will rise by 7 degrees Celsius by the end of the century. Across Africa, a renewable energy wave is quickly taking shape, positioning the continent as a global frontrunner in green energy. The European Union is often criticised, and many times, rightly so. But when it comes to Hungary, the EU is right.